There is obviously something in the water on college campuses around the country. This is the only explanation we have for all the glorious music college groups have been giving us as of recent. And the Octopodes of John Hopkins University are the latest group to steal the spotlight. 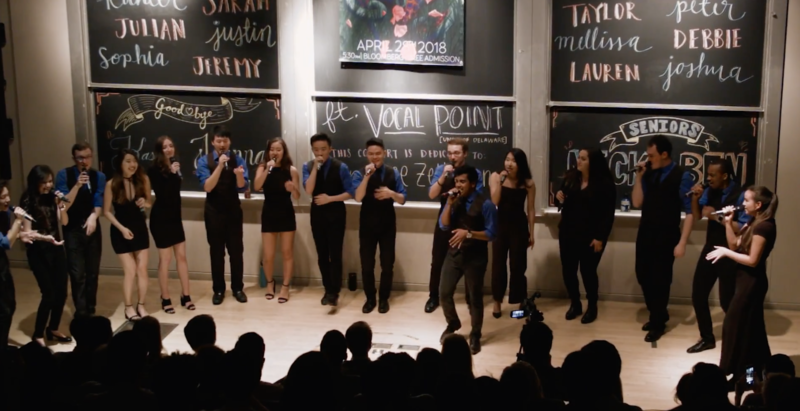 In their newest video, the coed vocal group has produced a tasty remix of Brayton Bowman's "Feel You" and it's a banger. The group has transformed Bowman's pop track into a melting pot of EDM, Pop and Soul that's good all the way to the core. The arrangement is full of surprises from its creative intro to the unified runs of the backing group. The Octopodes' soloist Jeremey Earnest is also a standout of the video as he pulls double duty as both lead and arranger. His style is current and a tad nuanced, mixing subtle slickness with powerful vocals that were completely unexpected. The performance is more than we could have asked for and more than we deserve, but the Octopodes have chosen to bless us anyway. For that, we thank them.